Who is Surprised that a Faith-Based Film Beat Zac Efron and Owen Wilson? The end of August is traditionally one of the year’s low points when it comes to Hollywood releases. So it was not surprising that the powerhouse “Straight Outta Compton” lead the box office, far ahead of the two new releases, the Owen Wilson/Pierce Brosnan action film “No Escape” and the Zac Efron EDM DJ movie, “We Are Your Friends.” But the people who predict box office returns for a living were surprised that a small faith-based film was #2, ahead of both studio films, with a healthy $11 million. The more important number was per-theater, where it made more than double what “Straight Outta Compton” took in. The numbers guys always underestimate faith-based films, but the rest of us were not surprised. “The War Room” was made by Alex and Stephen Kendrick, whose films like “Fireproof,” “Mom’s Night Out,” and “Facing the Giants” have not just reached audiences — they have reached audiences too often overlooked by Hollywood, and, as they have shown, audiences looking for faith-based entertainment. It is especially good to see a primarily African-American cast, as well. The Kendricks make movies that show the role of faith in complicated, sometimes painful lives. Their films do not promise to fix everything or everyone, but their stories show how faith can help, and clearly, that is a story more welcome than another shoot ’em up or coming of age story. Alex Sheremet is the author of Woody Allen: Reel to Real , an in-depth exploration of the work of one of the most prolific and singular directors in history. He generously took time to answer my questions. Part 2 will be published on September 6, 2015. What elements do you find in Woody Allen’s “early funny” movies that show up in his purely dramatic films? There is both a break and continuity within his films, but the most important thing to know is that, even in the ‘pure’ comedies, there is still the pretense of something deeper. While I think this has been overstated, it’s true that- say- Sleeper has a running social commentary even in scenes that seem just for laughs. For instance, when Luna (Diane Keaton) is bent on becoming an artist, yet recites nothing but bad poetry to anyone who might listen, it is quite similar to Woody’s take on the arts in Interiors, Manhattan, and many other films, where the talentless are obsessed with things they can never have. To Woody, this would still be a human ‘type’ even in a post-apocalyptic future. It refers to a mode of being- a set of feelings and inclinations- that are prevalent not only in the American upper crust which he so often skewers, but everywhere else too. The difference is that today they can be recorded, and Woody Allen’s films are a great record of things that (oddly enough) critics so often accuse his artistry of. I’ve often thought that Woody’s early comedies are the best gag-driven works in cinema. Yes, Take The Money And Run, Bananas, and Love And Death are all flawed in the sense that a barrage of jokes has an artistic ceiling that a truly great dramatic film does not, but they are stellar works within their own genre. By that same token, many of Woody’s dramas (Crimes, Stardust Memories, and Another Woman, in particular) are at their own cinematic apex, as well. I know of no other artist that has mastered ‘pure’ forms and could so fluidly go between them. This, to me, implies an artistic need that Woody has to master a number of forms rather than simply being known for one or two. Look at Ingmar Bergman’s comedies- not very funny, are they? Or Federico Fellini’s style- he’s among the world’s best film-makers, no doubt, but the closest he’s come to a pure comedy is Amarcord, which Woody used as a model to utterly better with his own film, Radio Days. In fact, the closest filmmaker to Woody that I can think of (at least in terms of sheer diversity) is Werner Herzog. Some might be surprised to hear this, but what they have in common is an ability to do pretty much whatever it is they want to: faux documentaries, dramas, comedies, and the like, with about the same number of great films to their names. It matters not that their style and their content are so different. The point is that they do whatever it is they’re able to do at the highest levels, and quite consistently at that. Over the past ten to twenty years, my impression is that it is more important to Allen to make a film every year than to make a good film, that he would rather be filming than refining the script. Do you agree? Yes. But to be fair, I don’t think Woody would be able to do better films now even if he’d take twice the time. I mean, he’s always made about a film a year- this isn’t really his way of pushing himself. It is simply how he works. He’s made multiple masterpieces one after the other, and I’m sure that has to do with youthful ability- when one’s energy AND mind are at their peak. Sure, he’s made excellent work with Match Point and Cassandra’s Dream, but when they’re followed by a string of mediocrities (or worse) for 10+ years, I assume it has more to do with being 79 and the inevitable creative drop-off rather than any conscious decisions on his part. His best days are probably behind him and there is little he could do about it- especially if he truly does believe that the last 8 years were in any way a success and therefore worth emulating. Allen famously gives very little direction. Which actors do you think have worked with him most effectively? Woody has been very lucky in the way that he was able to get a number of great actors early on, especially during his more serious turn with Annie Hall. As a comic duo, Allen and Diane Keaton were great- and I don’t think there is a better comic pairing than the one found in Love And Death. You see dozens of little tics- the way Keaton might look at the camera, or roll her eyes unexpectedly, the way her hands might move when dealing with Allen, as well as Allen’s own ripostes to such. There are so many details, within, that most actors don’t ever seem to think about but that go on to define Diane Keaton. In this way, she’s always seemed to have great instincts, which precludes any real need for direction. It’s the same with lots of professions- give a great worker a few good tools, and they’ll do far better than a mediocrity with lots of instruction. The same can be said for Sam Waterston, Dianne Wiest, Geraldine Page, Mary Beth Hurt, Martin Landau, Mia Farrow and the much-neglected Gena Rowlands. In fact, I’d argue that the best performance, in any Woody film, is Rowlands in Another Woman. There are expressions that she makes that are so hyper-realistic that they can’t even be deduced as a reaction to one or two things, but whatever plenum of facts and emotions that a situation calls for in real life. This is hard to do, obviously- how can one reasonably channel the full import of a thing while being privy to only one part of it? Yet she does it, over and over again, and few talked about this when the film came out. That’s changing, however, in the same way that Mia Farrow’s performances in Woody’s films have earned her much praise two or three decades after the fact, at a time when both of their careers have effectively come to a standstill. You are a defender of some of his least popular films, “Interiors” and “Celebrity.” What are audiences missing, and why? Interiors was unjustly regarded as an Ingmar Bergman rip-off, but such an accusation is possible only when looking at the film’s patina. Yes, it’s dark both literally and figuratively; yes, it’s a slow, methodical look at family relationships; yes, some of the dialogue is flushed with the sorts of poeticisms that turns Bergman’s greatest scripts into great literature even if they’re asked to stand alone. But beyond this, the concerns are wholly Allen’s, not Bergman’s. Joey (Mary Beth Hurt) is American to core, down to her child-like leisure and inability to grasp the difference between desiring a thing she cannot have, and using this lack as a measure of her own self-worth. That ‘Joey’ type is practically a creation of the 1960s-70s, safely within the American milieu, and has only intensified now precisely in the ways that the film depicts. Supporting characters, such as Flyn (Kristin Griffith), are given a depth- a function that goes beyond mere function, but realism- that most leads rarely have. Scenes such as Geraldine Page entering the dimly lit church- entering her ‘interiors,’ in a sense- capture a psychotic break so vividly that it’s way up there with any other depiction of illness one can think of. Michael’s (Sam Waterston) inability to deal with the ‘artsy’ but talentless type- in fact, his very inability to comprehend what is an illogical conflict, gets at the sort of illusions and miscommunications that tail many relationships. Our inability to REALLY know Pearl’s (Maureen Stapleton’s) intentions, despite the clues, also complicates both her character, as well as others’ varied reactions to her. Woody’s refusal to show Renata’s (Diane Keaton) child more than once or twice despite her ostensible importance to her marital problems is a deft move that says much- with not all of it obvious. And so on. Yes, a few of the film’s lines could have been tweaked; a couple of symbols are too obvious or clunky, but we’re talking, maybe, 3 or 4 minutes of screen tine interspersed between 90 minutes of greatness. As for the charges of ripping off of Persona’s imagery, with the 3 women standing in one shot in the end? Ingmar Bergman’s use of the image was both visually different (that is, a composite) AND ironic. It is a comment upon the percipient than on the characters, who are mostly ciphers. 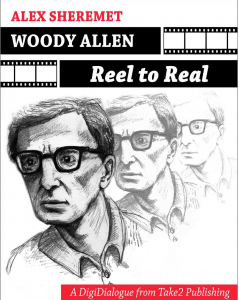 Woody’s use of the image is neither lesser nor greater than Bergman’s. It is just 100% opposite in both execution and effect. I am shocked that this isn’t brought up more often. It is probably because critics tend to look for reasons to justify their aesthetic positions as opposed to looking at the evidence, first, and drawing conclusions then. Assuming that it’s true, however- assuming that Woody’s dramas are nothing more than Bergmanian rip-offs…. why would it matter, anyway, if they are well-executed rip-offs? Had Shakespeare not written Hamlet, and a contemporary writer penned it, instead, it would be still logically be a great work of art despite having all the typical Shakespearean hallmarks. Yes, it might be less fresh, today, but great art almost by definition ages well, even if it might not do so indefinitely. And while I argue against the charge in the book, in detail, I feel half-hearted about it mostly because it is just so irrelevant. It is almost as if making a great work of art in the vein of another great artist is a dishonor rather than a great difficulty that’s been overcome. It’s just so silly and is little more than a charge made by non-artists (or wannabes!) who simply have no idea how influence, much less artistic creation, even works. Celebrity is a lesser film than Interiors, but still unfairly maligned. I just haven’t seen many logical complaints, and the biggest one seems to be that Kenneth Branagh is “playing Woody,” as opposed to his ‘own’ character. First- so what? Whatever he’s playing, he’s playing it well, which counts first. Second, there is NO WAY that Woody would have pulled off Kenneth Branagh’s persona, himself. Remember that the film is only a comedy about half of the time. If Woody were to play this character, it’d be a farce from beginning to end- and a completely unbelievable one, at that. Branagh’s conflict, within, is that he’s trying to enter the superficial celebrity world and do typical celebrity things as a means of finding purpose. He cannot, however, and while he strikes out with women, they DO give him attention- he’s good-looking, after all, and has just enough success to turn a few heads, no matter how short-lived. For this reason, the film brims with subtleties, such as the wonderful flirtation scenes between Branagh’s character and Winona Ryder. Had Woody even attempted this, the two character’s clear sexual tension, the give-and-take of not knowing what might happen would simply not occur. It would be the sexual tension of Jade Scorpion– funny, perhaps, but ill-serving Celebrity. Allen is not known as a particularly visual director, beyond working with top-quality cinematographers. but you write about some examples of visual storytelling that are often overlooked. What are some examples of his use of images or colors to tell the story? The charge that Allen is non-visual is not only a cliché, but an unjustified one at that. Even in early films that are far more dependent on gags than much else, there are visual tricks that one can still recall well after the films are done: the way that the two leads’ conversation gets obscured by leaves and foliage in Bananas, almost casting doubt on their relationship, the dozens of visual allusions to other works of art in Love And Death, or the strangely daring camera work in parts of Sleeper, panning away from characters’ faces and letting their bodies or a room’s lighting to tell the story. These are the more simple examples, of course. The further you go into his filmography, however, the deeper these visuals become. Interiors, for example, has a wonderful scene wherein Geraldine Page’s character is about to commit suicide. She is shown taping all the cracks in her apartment- using black tape, then white when she runs out of black. She then reclines on the sofa- her dress is mostly black with a bit of white. The scene outside is white stars and city lights against a black sky. In other words, the thing becomes a kind of cosmic funeral, as if she’s at her own wake. And even in death, she must keep everything clean, well-proportioned, and properly colored- a comment on her psyche which says more than even the film’s dialogue. Another Woman, too, is perhaps one of his most visual films. You see Marion (Gena Rowlands) entering her own ‘interiors’ by following Hope into back alleys and streets, and it is clearly no longer something in the outer world- this is metaphor for the many things happening within. The appearance and disappearance of her mother gives her childhood an air of irreality- that things are not precisely as they’ve been described, simply because the memory (as related to us) is just so perfectly colored. Such things barely last a few seconds, and if they’re not noticed, they’re gone, and it seems that the original charge sticks. Crimes And Misdemeanors is similarly filled with these touches- from Martin Landau’s sudden fear over watching a sunset, as if God is behind the clouds, to the way that Dolores’s assassin (unseen at the time) first steps out of a car to observe the scenery over a bridge, thus enriching him as more than a mere thug. Or take a film like Stardust Memories, which is SO dependent on visuals to characterize, dispute, repel, and so on, that it utterly needs its fractured qualities. Recall how Charlotte Rampling’s character, Dorrie, gets about a minute of jump-cuts to show what a psychotic break must feel like? Or the way that Sandy’s (Allen) apartment’s décor shifts according to the mood he’s in? Or the way that Sandy expresses his love for Dorrie by focusing NOT on Sandy’s loving gazes, but at Dorrie’s far less legible ones? This is not any less ‘visual’ than a Malick or a Herzog film. It is visuals that work on a different set of axes, and quite well, at that. Next PostNext Who is Surprised that a Faith-Based Film Beat Zac Efron and Owen Wilson? This week, two movies are based on first-person accounts by writers telling their own real-life stories. In The New Yorker, Katha Pollitt wrote about getting her first driver’s license in her 50’s, after her partner of seven years left her for another woman. When her driving instructor tried to teach her to pay attention to what was going on around her, it felt like a metaphor for the warning signs she had missed about her relationship. The film is “Learning to Drive,” starring Patricia Clarkson and Sir Ben Kingsley. Some of the details were changed, including the ethnicity of the instructor and the duration of the relationship. 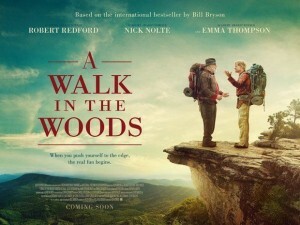 One detail that was changed in “A Walk in the Woods” was the age of the protagonists. When Bill Bryson and his irascible childhood friend Katz hiked the Appalachian Trail in the 1990’s, they were 44 years old. In the movie, Bryson is played by Robert Redford, who will be 80 next year, and Katz is played by Nick Nolte, who is 74. Bryson’s wife is played by 56-year-old Emma Thompson, who is supposed to be his contemporary. While some of the characters and incidents are lifted straight from the book, especially the very funny character played by Kristen Schaal, there are also some important changes. But the biggest is the “this is our last chance at a grand adventure” theme, just because the characters are played by septuagenarians. We mourn the loss of director Wes Craven, who knew what scared us and knew how much we loved being scared. His series films included “Scream,” “Nightmare on Elm Street,” and “The Hills Have Eyes.” My friend Simon Abrams interviewed Craven for The Village Voice last year. He spoke about the dream quality of horror. The power of the nightmare is that it addresses something that is universally recognized. In that sense, it’s very real, but not something that’s normally treated as reality. That’s a profoundly important world, it’s just not easily explained or mapped out by the rational mind of human beings. And he spoke about his collaborative process in working with actors. For instance, with Robert Englund, I always encouraged him to make his own. In fact, from casting on, I realized the power of that man. He was ready, and enthusiastic about exploring that persona in a way that came from his own imagination, as well as mine. The physicality of the character, for instance, was not necessarily on the page; much of it was was Robert experimenting and improvising based on a theme. He described his fundamentalist upbringing and his thoughts about God. There was certainly a point in my life where I thought, “The God people talk about is a God I can’t touch, I can’t find.” Not to say that I now feel that there’s nothing transcendent in the world. Anything having to do with the living film is astonishing. I don’t have the religious thing of looking to the Pope, or looking to a religious figure for a concept of what God is. But religious teachings of what’s most important in life, or one’s conducts — those teachings have never left me. I was raised on the teachings of Jesus, whether or not he was an actual living man, let alone the son of God. That way of looking at the world has never really left me. The Washington Post obituary quoted Craven on this subject as well. Certainly, his focus on horror was a response or a way of processing the hellfire images and tragedies of his childhood, including the loss of his father when he was very young. His films were gruesome and graphic, with cannibals, rapists, and serial killers, made even scarier because they took place not in gothic castles but in suburbia and other places that we think of as safe and familiar. What could be more terrifying than a killer who gets you in your sleep? And yet, Craven thought of his films as funny as well as scary, and his fans do, too. He equated comedy and horror as providing the same kind of release. Craven did make a non-scary movie, “Music of the Heart,” a fact-based story with Meryl Streep as a violin teacher. But his own heart was in horror, and his films will be scaring people as long as there are ways to show them. Rachel Hendrix plays Mac in the faith-based romantic film “77 Chances.” It’s a “Groundhog Day”-style story about a young man who feels lost after the death of his mother. 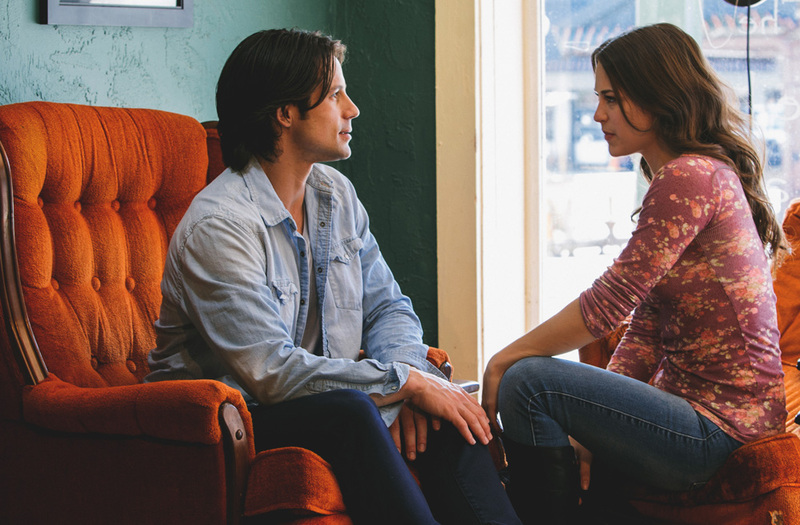 He meets a pretty girl and they have a wonderful evening together until a tragic accident. He keeps repeating the same day, 77 times, until he can figure out a way to keep her safe. I can’t think of a bigger challenge for an actor than essentially doing the same scene so many different ways. Tell me a little bit about how you kept that straight. They paid somebody to keep that straight so I don’t have to worry about it. The writer Tracy Trost, who also directed, did a good job of showing how every day can be different if you make different choices. And so it was really fun to see how he examined that and how no matter what, never do you more than once have the same day which was interesting. It kind of makes you think about how you live your life and the little nuanced things that we do to affect the people we encounter. It was challenging because you are in the same clothes and you don’t really get a lot of exploration with your character as things happen over time, but you do get to explore your character in different scenarios and that was different. I’ve never done anything like that before. In the scene where you have your first conversation while you are standing in line to get lunch, your character reacted very differently to different overtures that he tried each day. I think in the beginning she’s curious about this guy. She wants to know who he is and what he is doing and what his story is and so she is kind of initiating a conversation. I guess you would call that a move. And you see him respond to that in very kind of awkward he doesn’t know what to do with it kind of way. But I feel like it was a realistic depiction of what a first conversation might look like in a scenario like that and it was neat to let that be warm and friendly and natural and organic and see how we messed it up so often when he tried to repeat it. And I think that’s a big statement on humanity in general when we try to force something or we try to be artificial or re-create something that’s already been created, it often times surprises us how far away we are from that, how it’s not really possible to re-create it. So that was fun to kind of jump into that first. We shot all of those pieces all on the same night so that was a really repetitive night but a whole lot of fun and we did that scene first before all of the other ones in sequential order which you typically don’t do on film. It was fun. It was kind of fun to be thrust into – hey this is what the relationship could be like if you didn’t keep messing it up. One of the scenes that is very affecting in the film is when your character talks about the broach. Do you have a memento like that that’s very meaningful to you? If I had to grab one thing because my house was burning down, it would be my journal for sure. I don’t think I’ve got a memento or like an actual physical object that was given to me. Other than right now, I am wearing a necklace that somebody gave to me that says “brave” on it and I love it. It’s probably one of the only things that I have that is like a tangible object that I have held on to. But in terms of the value of the written word and the recording of history or recording of stories, experiences, that’s something I would always go back to as a memento for life, my life. So I created them myself, they haven’t been given to me. All the stories were given to me by other people and all my experiences were given to me by other people so I guess that kind of counts. How did you come to this movie? I was reading over the script and it looked like a really great story. And I think what attracted me the most to the opportunity was that this is would be like a student film shooting at a university. The the students were all part of a program where they were required to jump right in and crew a professional movie with little to no experience. Really the only experience they have is what they are learning in their classrooms. So it was an opportunity to come in and offer up whatever I could in terms of my experience or my education in acting, which is limited, but to really just like reach out and teach which is something I don’t do very often but I enjoy. So we worked it out and I flew out. Did you enjoy having a part that was lighter in tone than your previous work? I enjoyed that and I think I told someone soon after I finished shooting that that was the most natural casting to who I really am of anything that I have done and it was easy because of that. And I enjoyed it just kind of playing myself, not afraid to be vulnerable but kind of hesitant with a new person, somebody with a story, somebody with a painful back history. And it was really enjoyable to explore that with the character that is opposite that. And Andrew Cheney did a fantastic job. He was really magnetic and just easy to spend time with on screen. I so appreciated his energy and his work. I enjoyed working with him and I hope he took away something as well from just hanging out with me and how much I was like that character. And I think the students being on set every day, being sponges and willing to go the extra mile to serve and do great work because their degree depended on it. It was quite surprising how much I enjoyed that, that whole thing just felt really like home and it just continued affirming for me that this is what I want to do and every film I have done since then has just reiterated that. What is it that really captured you about acting? You studied photography in college. What did that teach you about being on the other side of the camera? Being on the other side of camera has taught me a lot. It has taught me a lot about lights and not just the technical aspect of the camera but what ultimately the camera is used for; to frame something, to tell a story or to capture a beautiful image or to paint something with light. I really think that the two inform each other and by having had so much experience behind the camera, that might be why it was easy for me in my first short film to just stand there and be myself and not act, not do anything, just be. Hopefully that is what acting is, it’s just being and listening and responding. So it’s been very helpful and I continue to learn photography. I think I always will. And I will always have my camera with me, I will always bring it with me. It’s just a part of what I do, it’s part of my process and I have enjoyed the freedom to return to it in between when the acting jobs that are coming and going but it’s always a part of seeing it. I do feel like they inform each other in a way that grows me wherever I am behind or in front.